I am delighted to have Effie Moss, the mum behind Just for Tiny People, join me for a chat on my blog. Just For Tiny People creates products that inspires tiny people (and big people too) to believe in magic, encourages people to laugh and to provide their children with a magical place they can call their own whilst giving their tiny person the ultimate luxurious, Magical Hideaway. 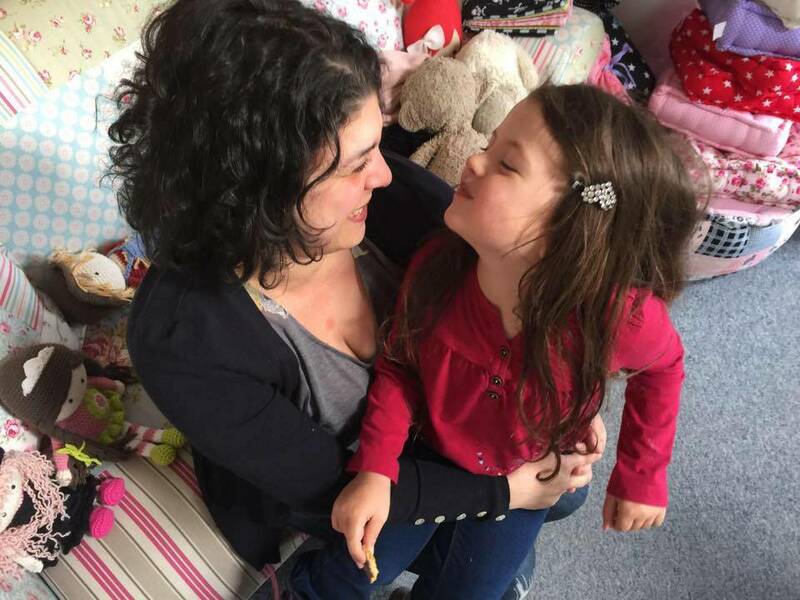 Effie shares with us the story behind JFTP, what it was like to appear on television programme ‘Dragon’s Den’ and being a mummy to gorgeous Alice, age five. Being a mum 🙂 Alice is an IVF baby, I waited for 7 years to have a tiny person of my own. I love everything about being a mummy to her, even the stressful moments! When you become a mum for the first time, it can be a bit overwhelming, lots to learn and quickly. What was the best piece of advice you were given as a new mum? It is overwhelming, you are suddenly responsible for this very very small little person. There isn’t a manual and you are automatically expected to know what to do. The reality is you can’t plan as to how you will feel, the type of labour you will have etc.. Not everybody has external support either. I just feel that mums in general need to be kind to themselves and remember that their bodies have just given birth to an absolute miracle. It’s ok to feel a little overwhelmed. Reach out for support if you need it, try not to take everything on your shoulders, accept that there are different ways to do things and you will learn what your baby needs. Somebody once told me to remember that everything is just a phase, it will be over as quickly as it came. Now that Alice is 5, I can see how relevant this is. Your daughter Alice (you have great taste in names!) started school last September, my little Alice, starts in September. What advice would you give to mum’s to prepare their child for starting school? Oh my goodness! School.. time flies by so quickly and suddenly you are standing in a playground trying to make friends too! My husband and I chose Alice’s school together, I was really comfortable with our choice. It instinctively felt the right place for Alice. I found the induction day harder than the first day of school. That is when reality kicks in and you realise your tiny person will be going off to develop their own ideas and have their own experiences and shockingly they won’t all involve you. Its an exciting journey for them and they will learn SO much. As parents we also have to embrace the ‘school playground’ and make friends too and build a support network. Its life changing for the whole family. As a mummy to Alice, one day you decided to make a teepee for her to play in. What inspired you to take the next step and start Just for Tiny People? JFTP is more of a happy accident. I would love to tell you that I had a wonderful business plan and spent ages looking to competitors, pricing and production and working out a business model. It wasn’t anything like that.. When I made Alice’s teepee, I popped a photo on Facebook and thought it would be fun to start a page. Facebook pages are free and you will never lose anything by trying. Overnight the page acquired 1000 followers, by the end of week 3 we had 3000 followers. The interest in this one teepee was incredible. Since that day I have basically been running. JFTP now reaches up to 5.6 million people a week and our platforms combined have a following of 300,000 people. I always say its amazing what you can achieve when you close your eyes and be brave just for a second. Your appearance on Dragons Den, really put the spotlight on Just for Tiny People. Were you prepared for how many people would fall in love with Just for Tiny People? Nooo.. I was very naive when I appeared on Dragons Den. I didn’t think I would actually make it into the den itself. It was a very daunting experience. When the show aired I remember watching it from behind a cushion, I was so embarrassed! My platforms had started to go a little mad and we gained 30,000 followers within the first minute of being on air. We also brought down a 2.5 million website which was hosted on the same platform as us at that time. It really was the most unbelievable experience. I am so pleased that I had the chance to explain JFTP on such a large platform and to build our community. If you could go back in time to the day before you appeared on Dragons Den and give yourself one piece of advice, what would it be? I think I would go back 3 months! And ensure I had the correct platform in place to cope with what happened and ensure we had stock .. You can get swept away with everything that Dragons den brings. The reality is a lot harsher and a massive learning curve..
Alice is a large part of Just for Tiny People and you have recently launched the Alice inspired range. How important is it for you involve Alice and show her what mummy does everyday? Really really important 🙂 I want to be the best role model I can possibly be for Alice. Everything I do, I do for her, though I am not sure she understands just yet. It is so important to bring up our daughters to be as independent as possible, they should always believe that they can touch the stars. If you fall, show them how to get back up.. If you succeed teach them to be gracious and humble and at all stages of your life, put your best foot forward. that is all any of us can do. How do you juggle being a mum and being ‘the boss’ in your own company? I am extremely lucky as my hubby is a stay at home dad, though he now supports me with JFTP. It is much easier now that Alice is at school, however our work life revolves around her. We finish at the office at 2.30pm and collect Alice from school. We will come home, have dinner, sit down together and read. I will often work through the evening when Alice is in bed (or not as often is the case). I am also an early bird, you will always spot me online at 5.30am! For any parents reading this that are thinking about starting their own business, what are your top tips? Businesses aren’t a race, they have a wonderful ability to evolve with you as your lifestyle through parenthood changes. Always be honest in terms of your time and what you can commit to. Stronger businesses are those grown organically and developed over time. Ensure your business involves something you absolutely love. Running a business is incredibly hard work and you will often have to sacrifice your family time to make things work. How would you sum up motherhood in three words? Thank you Effie for the chat and supporting dearbearandbeany. I know time is precious when you are a busy working mum and it means a lot to me.